The 12 gauge is one of the best, close range firearms in the world. Whether it is being used for law enforcement, civilian, or military purposes, the 12 gauge thrives. Proven through nearly a century and a half of use all over the world in thousands of situations, the 12 gauge is a time honored favorite. 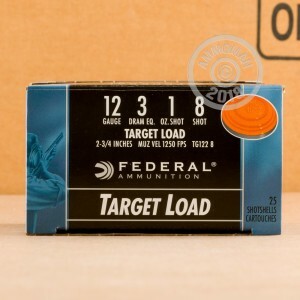 Federal has been around since 1922, and has become one of America's favorite ammunition providers. 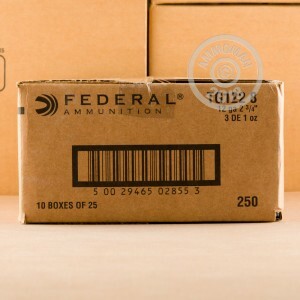 Whether you need affordable range ammo or purpose built premium rounds, Federal has just what you need. These 2 3/4" hulls carry a one ounce payload of #8 shot. 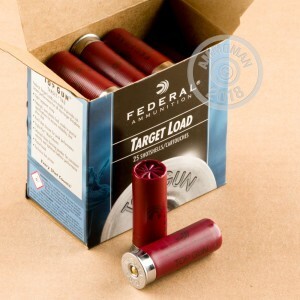 Federal Target Load shells are a great choice for high volume shooters looking to bust clays consistently at the range. Stock up and save at AmmoMan.com, all orders over $99 will ship for FREE!